A highly structured approach helps LPS students achieve more in Language Arts. This highly structured, systematic, phonemic approach directly and systematically teaches students accurate decoding. Instruction is interactive and multi-sensory, teaching total word construction, not just phonics. Students learn skills of sound/symbol relationships, decoding and encoding, and word parts so that single and multisyllabic word reading and spelling become manageable. The Language Arts class directly focuses on teaching the syllable and spelling rules of the English language in a step-by-step manner. As students learn this system, the need for guessing at new words is reduced. This program also provides a thorough study of word structure. In Reading Comprehension, a modified researched-based literacy program designed around the Common Core State Standards (CCSS) for Massachusetts is used. It reflects an integrated model of literacy. The program offers a variety of opportunities for brief and extended, informal performance tasks that focus on reading, writing and listening. Using an anthology and leveled readers, students apply CCSS understanding and analysis as they read increasingly complex text. Within the weekly lesson, students are exposed to high-quality literature that enables them to gain strategies for close reading, vocabulary development, factual and inferential comprehension skills and writing skills. In addition, through collaborative activities and teacher-led discussions, students are exposed to high interest short stories, poems, trade books, magazines, and plays to continue to reinforce the application of learned skills and strategies. Our world requires that all people engaged in any commerce be proficient writers. However, many students who come to LPS have challenges with written language. Using EmPower™ strategies, our students learn and practice brainstorming a topic, using references and two-column notes, and employing Thinking Maps® to organize material prior to producing a rough draft. Students then learn how to review and edit, and make necessary changes to produce a final or best copy. Developing writing in a structured manner is stressed. In content areas, staff provide sentence and paragraph models and use consistent, prescribed templates or formats to support this important skill. Step-by-step guidance helps students internalize the process and generate written language with greater independence. All LPS science and social studies classes share the goal of helping students express themselves in writing and in the use of pragmatic language skills. Using each curriculum's vocabulary (both meaning and use), students are taught proper grammar and syntax, punctuation and mechanics appropriate to each writing assignment. Beginning with simple sentences, students advance to produce highly structured compositions. Within the Elementary and Middle School Science classes, written and pragmatic language is modeled and taught using the Massachusetts DESE curriculum. This includes studies in earth and space science, life science (biology), physical (physics and chemistry) and technology/engineering. Each separate strand is taught at a level appropriate to the comprehension of the students. 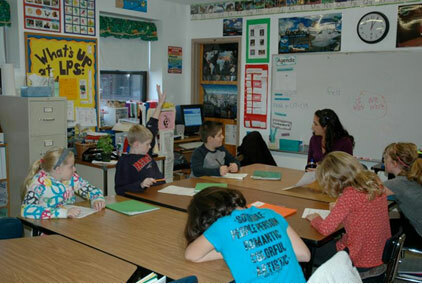 The Elementary and Middle School social studies classes also follow the Massachusetts DESE curriculum. Elementary students learn, write, and speak about the history of Massachusetts, regions of the United States, and the history of the United States (early days up to the Civil War.) In the Middle School, students are learning, writing, and making presentations about the geography of our world, ancient History (early humans through the Roman Empire), and World History, Part 1 (the end of the Roman Empire through the Middle Ages in various parts of Earth). 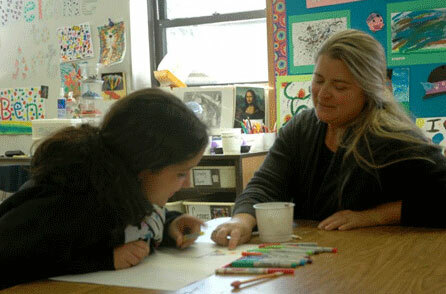 The LPS mathematics program encompasses all aspects of math. Students are placed homogeneously in language-based classes to meet each level of ability and learning style requirements. Our curriculum is based upon the revised Massachusetts Math Frameworks/Common Core Curriculum. It is designed to help all students learn to value math, communicate, and reason mathematically, becoming mathematical problem solvers, confident in their ability. Students are actively involved in a learning process that increases their ability to appreciate and apply concepts and skills. As their awareness grows, they find applications for their newly-acquired skills, both in the classroom and in the "real world." We support students by incorporating a hands-on approach and by incorporating skills for problem solving, communication, reasoning and making connections. These core concepts are not separate content areas; they are instructional practices that permeate our curriculum. All Elementary and Middle School math classes currently use a researched-based program, which involves teaching a new mathematical concept in every lesson while constantly reviewing previous concepts. Saxon Math is aligned with the Common Core Standards, covering a wide variety of skills and topics introduced in a logical order. Students working at grade 1, 2, or 3 level use a workbook format, beginning each class with warm-up problems before introducing the new concept of the day. Tools include worksheets, homework and daily "fact practice.” This is an integral part of building number sense and confidence. Assessments are given every tenth lesson. Students working at grade 4, 5, 6, or 7 level use a text book format. Lessons include "power ups" for fact practice, mental math problems, topic discussions and "lesson practice/practice set" questions that reflect a new concept. Homework is a selection of math problems supporting the text. Students have access to templates, strategies and methods to help them solve these problems. Assessments are given every fifth lesson. The purpose of Health and Student Issues is to offer students the opportunity to learn and practice strategies for healthy social development, to become aware of and cope with learning disabilities and to understand the various physical, social and emotional changes they will undergo through the process of growing up. 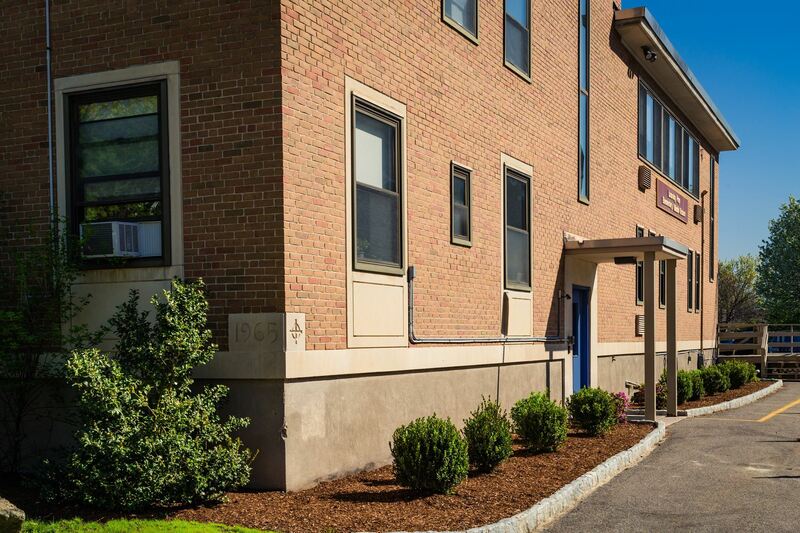 Health and Student Issues (HSI) classes are taught by the Elementary and Middle School counseling staff and guided by the Massachusetts Common Core Curriculum. These classes follow a psycho-educational group format and focus on issues such as social skills development, friendship skills, disability awareness, hygiene (and puberty at the middle school level), safety, nutrition, exercise and stress management. The concepts of Michelle Garcia Winner’s Social Thinking® are introduced and explained, helping students “think” about why they interact certain ways with others and how they can improve these interactions. Additionally, HSI classes also incorporate the concepts from The Zones of Regulation®. Students begin class by identifying which “zone” they are in to manage their own emotions more effectively and independently. Students learn which strategies work best for themselves. Our Physical Education curriculum centers around students’ physical, cognitive, and social/emotional development, as students are encouraged to establish interest and appreciation for physical activity. Students develop physical skills by participating in traditional sports, leisure activities, and fitness exercises. They work to refine a variety of manipulative, locomotor, and non-locomotor movement skills as this increases their knowledge on how the body functions and the benefits of physical activity. In these activities, students develop cognitive skill such as problem solving, working memory, and reasoning. They are encouraged to interpret situations to improve their decision-making skills and to process new information, while building upon retrieved information. Developing competence in these areas allows them to apply more advanced strategies, thereby improving individual and team performance. Students develop their social/emotional skills, such as communication, cooperation, and leadership, while engaging in team play. Improving these skills teaches them to respond effectively in a challenging environment while building lasting relationships. All activities take place in a safe and adaptive learning environment where students can build confidence in their abilities and create a lifelong love of wellness.